Training for UAS pilots, airport security screening expands for airport workers, the Navy looks at swarming UAVs, Delta Air Lines senior instructors to take upset prevention and recovery training, and airlines alerted to watch for hackers. Vince Donahue is the Founder and President of Vortex UAS, which provides tailored solutions for businesses utilizing Unmanned Aircraft Systems (or UAS) including pilot training, consulting, and other UAS Services. We talk with Vince about the current state of unmanned aerial vehicles used for commercial purposes, including the FAA NPRM for commercial use of small UAS. Vince comments on the concerns of airplane pilots, the need for drone pilot training, and the sense and avoid technology that is key to safe operation of drones in the national airspace. Vortex UAS will be conducting a four hour introductory Training Course for unmanned aircraft pilots May 16th, 2015 at Chicago Executive Airport [KPWK]. Stakeholders should read and understand the Notice of Proposed Rulemaking for the Operation and Certification of Small Unmanned Aircraft Systems. 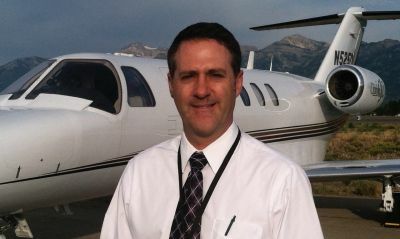 Vince has been a professional pilot for over a decade and is presently the chief pilot of a corporate flight department. He has 4 type ratings in airline, charter, and corporate aviation and he is a Certified Flight Instructor. Vince serves as one of the founding members of the AUVSI Heartland Chapter encompassing the states of Illinois and Wisconsin. He served as a Naval Flight Officer (NFO) aboard USS Midway and USS Independence in squadron VAW 115 and has 500 hours as NFO in 130 sorties, 70 of them in Operations Desert Shield/Desert Storm. Vince received several personal decorations including the Navy Commendation Medal with Combat V for meritorious service during combat in the Persian Gulf War as an Aircraft Control Officer on the E-2C Hawkeye. We previously talked about the story where guns were smuggled from Atlanta to New York aboard a Delta flight. The suspects in that case were staff at the airport. Now the TSA says they will implement increased electronic surveillance. And they are not fooling around. Effective immediately, random screening of airline employees throughout the workday and biennial criminal history checks. TSA hopes to replace the periodic background checks with “real-time recurrent” FBI background checks for all aviation workers. The Office of Naval Research (ONR) has been demonstrating swarming UAVs under the Low-Cost UAV Swarming Technology (LOCUST) program. The LOCUST system launches a group of drones with tube launchers. 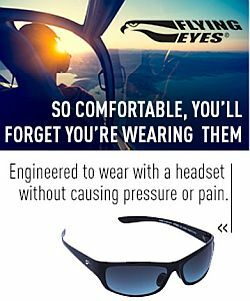 It’s a compact system that can be used on ships, tactical vehicles, or aircraft. Once airborne, the drones share information and collaborate autonomously on both defensive and offensive missions. Delta Air Lines senior instructors are being sent to upset prevention and recovery training (UPRT) with ground, in-aircraft, and full-motion simulator instruction. The airline wants its pilots to better avoid or recover from loss-of-control (LOC) incidents. Concerns have escalated that airliners might be vulnerable to hacking. A US Government Accountability Office report says some new passenger jets (787, A350, A380) have Wi-Fi passenger networks that share the same network as the avionics systems of the planes. Suspicious activity involving travelers connecting unknown cables or wires to the IFE system or unusual parts of the airplane seat. Any evidence of suspicious behavior following a flight, such as IFE systems that show evidence of tampering or the forced removal of covers to network connection ports. Any evidence of suspicious behavior concerning aviation wireless signals, including social media messages with threatening references to Onboard Network Systems, ADS-B, ACARS, and Air Traffic Control networks. Network logs from aircraft that indicate any suspicious activity, such as network scanning or intrusion attempts. This issue was also discussed in Airline Pilot Guy Episode 164. The boys are back and only slightly embarrassed for thinking last week was the US public holiday. Ooops. Meanwhile, the Australian government have publicly given CASA parameters for the changes they want to see made (basically: consider the economic and cost impact of safety regulations and implement the results of the Forsyth Review). Rob Mark notes that fewer planes are being built, the number of pilots is down, and fewer students are learning to be pilots. Could airport managers be part of the solution? This entry was posted in Episodes and tagged Airport security, Delta Air Lines, drone, FAA, flight training, hacking on April 29, 2015 by maxflight.